Phyllis Brown age 78, passed away on April 12, 2011 at Mt. San Rafael Hospital. Phyllis was born March 5, 1933 in Alamogordo, N.M., to Homer and Stella Brown. She lived in Cloudcroft, New Mexico, until her family moved to Eugene, Oregon when she was 12. 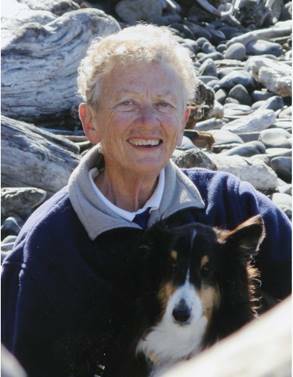 Phyllis worked for the Sothern Pacific Railroad in Eugene for 15 years and then went to the University of Oregon and received both her B.A. and M.A. degrees from that institution. She received her doctorate from the University of Texas in 1983 and began her career as director of Student Support Services at Trinidad State Junior College. She loved working with students and providing them with the opportunity to graduate with a college degree. 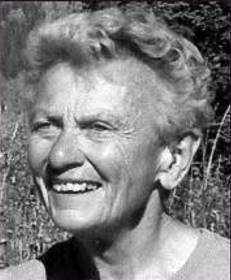 In 1997 she was chosen Development Educator of the Year by the Colorado Association of Developmental Education. She loved music and singing and was active in Sweet Adelines, singing group in Texas, and later church and community chorales in Trinidad. Camping, hiking, bird watching, and gardening were her favorite hobbies. She was also a partner in the Iris Patch business for many years. Phyllis is survived by her brother Don A. Brown of Evans, Colo., numerous nieces and nephews and her longtime special friend, Ena Sroat of Trinidad. Memorial Services will be held Wednesday, April 20, 2011, at 2 p.m. at the First United Methodist Church, State and Broom Streets, Trinidad with Pastor Leslie Barnett officiating…. Arrangements made under the direction of the Comi Funeral Home. AAFA NOTES: SSDI records confirm the birth and death dates of Martha P. Brown (SS# issued in PR), last residence Trinidad, Las Animas Co., CO.
For more information about this family, see AAFA’s published genealogy, Known Descendants of Haywood Alford and Elizabeth Marshall. Her Alford lineage, from her mother: Edith Estella 1895 TX2, Haywood 1848 AR3, William F. 1811 GA4, Haywood 1780 GA5.